This multifaceted large domed purple or lavender stone catches the light beautifully. 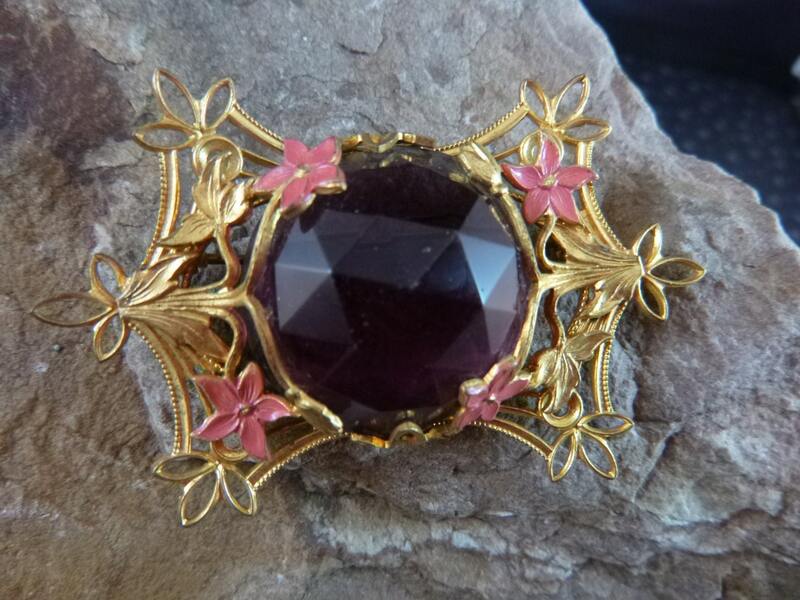 It’s the centerpiece for this lovely mid century gilded brooch with pink enamel flowers and golden vines, bringing with it the promise of spring, summer, and sunshine. 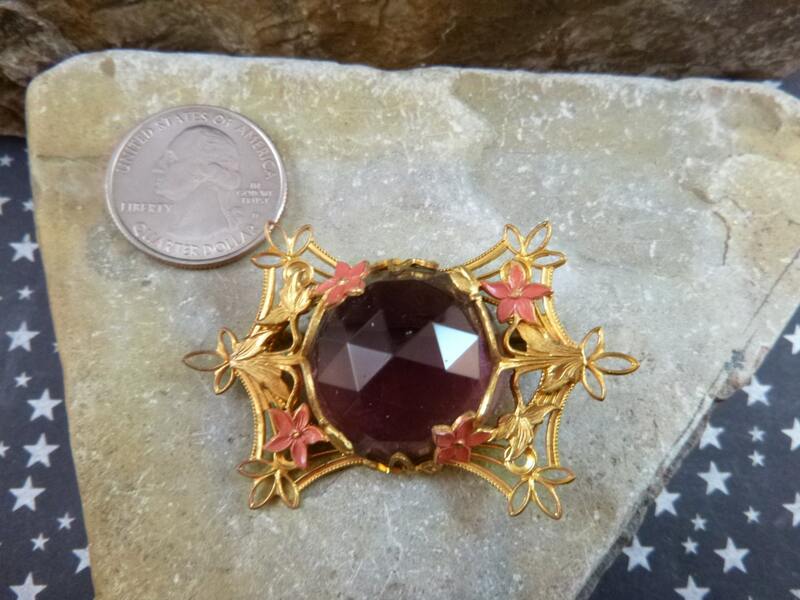 The brooch is 2 1/8” in length and 1 3/8” wide and has a substantial feel to it. 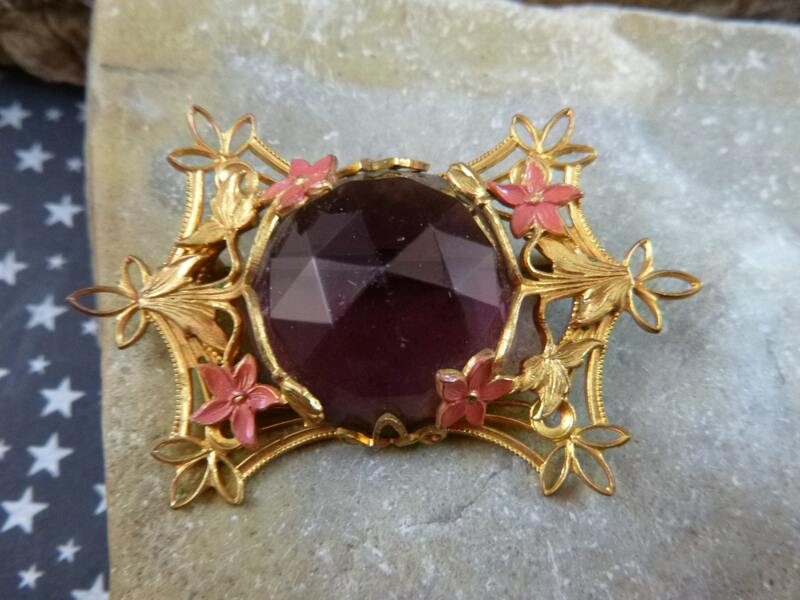 The purple glass stone has a couple tiny bubbles in it that are part of manufacturing. The pin is in good to very good vintage condition for its age. 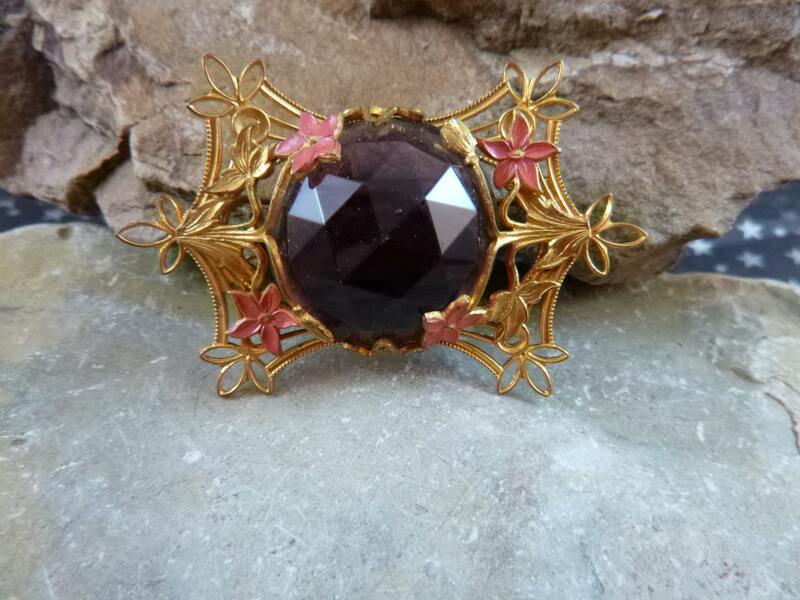 The good designation refers to some signs of wear on the enamel flower and gilt edges, a slight bend in the back pin, and a very tiny chip in the back glass edge. However, overall, it’s in very good condition for its 60+ years of existence and is in the condition found. 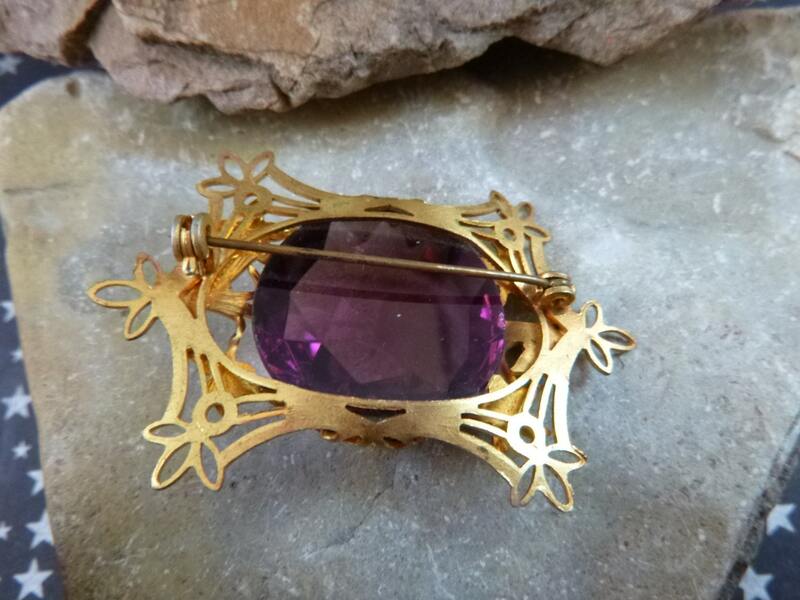 The pictures offer greater perspective on the beauty and distinctive nature of this mid century brooch as well as its overall condition.